Stepping stones add a decorative addition to the garden. 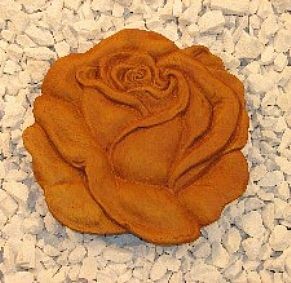 Our rose stepping stone features a beautiful flower no one forgets so easily as the rose remains and presents a symbolic meaning in many cultures. Please allow 1-2 weeks for order to ship.